A Simple, sturdy, zippered wetshoe, the Comm-3 is a favorite of outfitters and paddlers everywhere. 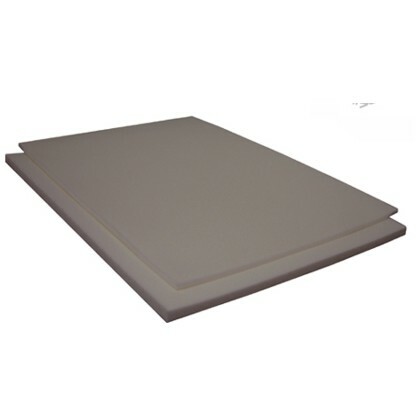 The back neoprene panel is color-coded for easy identification of size in commercial use. 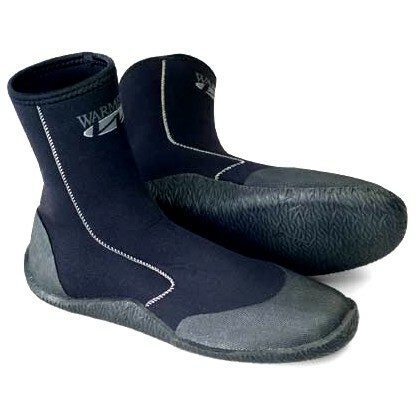 The 3-mm neoprene upper and a 5-mm neoprene insole make this paddle shoe warm and comfortable. 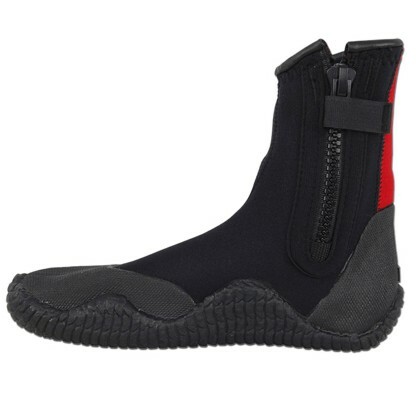 The flexible rubber sole offers high-traction support and protection from rocks and other sharp, pointy objects. 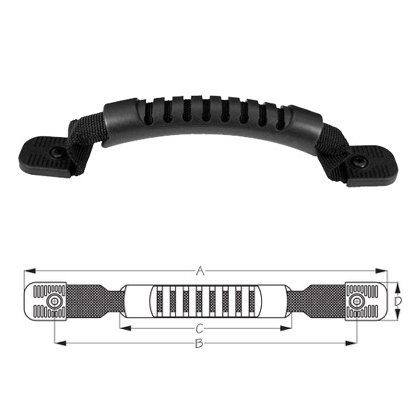 The gusseted YKK zipper makes them easy to get on and off. Back neoprene panel color-coded by size, size 8 is red as shown, expect other colors for other sizes such as black and blue, contact us us about these colors. The color code makes easy identification of size when sorting your shoes from others in the gear bag. Women order one size smaller. 1/2 sizes order one size larger.